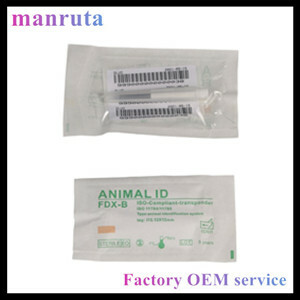 MRT005 Animal ID microchip is exclusively designed for animal identification. It contains a disposable needle package, reusable injection gun, a parylene coating microchip, 3 bar code spans and a packing bag pouch. 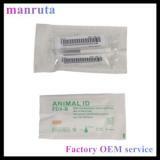 This product is sterilized by EO gas with 5 years guaranteed.